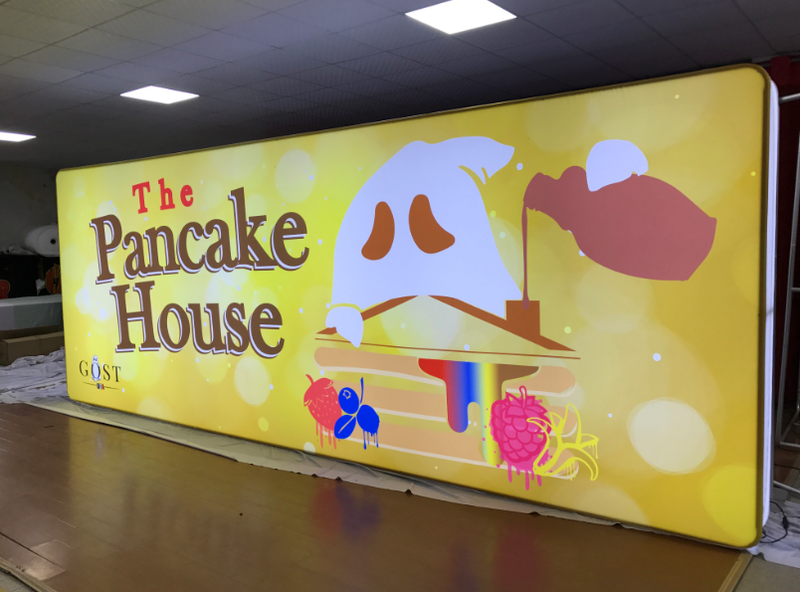 The fabric LED Wallbox Display, a portable exhibit unlike anything you've ever seen at any marketing event. The trade show traffic and/or your audience will be in awe of it's mighty size. Great for the retail environment as well. Single- & double-sided options. Using the same framework as our line of hanging banners that hang up above your exhibit space, set up is a snap as it's completely tool-less. Use it vertically, stretching tall like a tower, or horizontally as a branded barrier. Call about 15ft & 20ft and any custom-sized units. Listed prices include hardware & print. Lead time 4-5 business days.